A report from Italy has revealed that Real Madrid are the only club to have entered the negotiations for Mauro Icardi. The Spanish outfit is increasingly confident to secure the service of the 26 years old following the complicated problems between Inter Milan and the player. The report also states that Inter would allow their prized striker to leave for just €80 million. This price is significantly less than his €100 million release clause. Hence, the Los Blancos would scoop a considerable benefit from signing the Serie A superstar. Icardi has scored more than 100 league goals for Inter and has been regarded as one of the best strikers in Europe. However, his form has dipped recently while he also has some off-field problems with Inter. Super agent Mino Raiola has offered Lorenzo Insigne to Manchester United, according to a report from Italy. The Italian star has been the main key for Carlo Ancelotti this season but, his relationship with Napoli has turned sour recently. The 27-year-old has been the target of several European giants for some times now. Last year Napoli President Aurelio De Laurentiis revealed that the star has agreed £178 million verbal release clause. However, United could scoop Insigne for a much lower price given the problems that have surrounded the Italian. Edin Dzeko's ties with AS Roma could be soon coming to an end, according to a report. The Italian giant has been reluctant to extend the Bosnian's contract beyond its current expiry date of next summer. The 33 years old has established himself as one of the best strikers in Serie A since joined from Manchester City a few years ago. 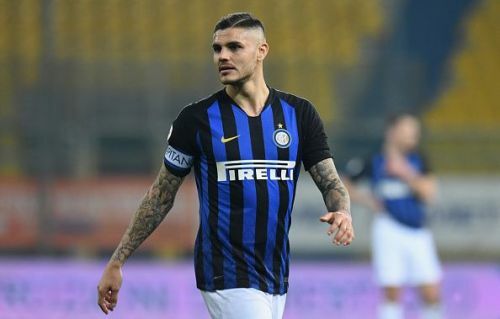 Premier League duo West Ham and Everton are said to be interested with the player while Inter Milan are also keen due to Icardi's recent problems. AC Milan are said to be interested in the service of AS Roma's sensation Nicolo Zaniolo. The Argentinian starlet has attracted interests from several European giants including Real Madrid and Juventus. The report also states that The Old Lady are ahead of everyone on the race but, Milan has carried out a survey for the 19 years old and could serve as a tough competitor for the Turin giant.